This time, they're certain they're close to finding William. They find themselves traveling deep into the ocean and atop the highest mountains, but they just can't find him anywhere. Is it possible the journals are a hoax? Is the explorer missing for good? In one last desperate attempt, the group ventures to the End. But will they survive this last-ditch effort, or have they finally gone too far? 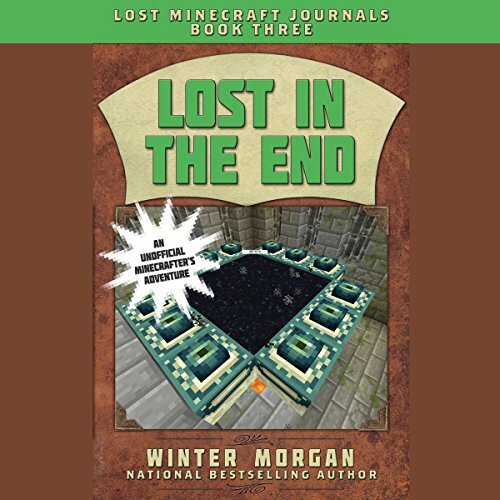 This is the third book in the new Lost Minecraft Journals series. The chapters of each book alternate between the journal entries (William's story) and the story of the treasure hunters. Fans of Minecraft won't want to miss this wild new adventure. The part I liked was when they found Him in the overworld under ground. Good book.